Home, Door and Window Products is the place to go if you are looking to buy a new steel entry door or steel exterior door. 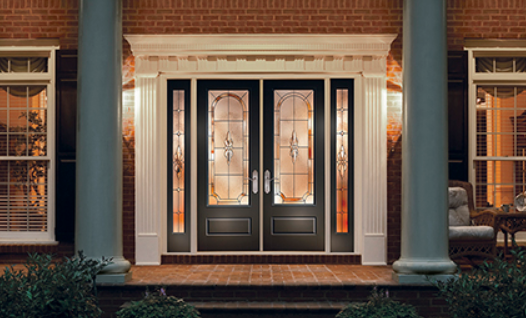 We have been providing quality steel front doors for over 30 years in the Greater Metro Detroit Area. Home and Door is a reliable company, and we can ensure you the highest quality, the best service, and affordability. Home and Door has a large variety of Therma-Tru steel doors on display in our gorgeous showroom in Berkley, Michigan. Home and Door is known in St. Clair Shores for exceptional products at affordable prices. St. Clair Shores is a suburban city in Michigan and is 13 miles northeast of downtown Detroit. Our St. Clair Shore residents know that Home and Door is the place to go when they are looking for steel exterior doors. St. Clair Shores forms a part of the Metro Detroit area with a population of 59,715. We have regular clients in St. Clair Shores who have been incredibly loyal to Home and Door. Our St. Clair Shores customers know that our steel doors will be an outstanding quality product that are long-lasting and durable. Home and Door has the Therma-Tru steel door you have been looking for! Whether you are looking for a steel front door for security, a durable steel entry door, or a custom steel exterior door, Home and Door has it available. Our skilled professionals are well-informed and available for any questions. Home and Door offers FREE estimates, quality craftsmanship, and excellent customer service. To see how we can heighten the look of your home or office with steel exterior doors or steel entry doors, call Home, Door and Window Products at (248) 399-9900 today!